Dog intelligence was of no interest to scientists until something drastic happened to turn that thinking on its head 15 years ago. Now it seems everyone’s getting into the act! Dr. Brian Hare, associate professor of Cognitive Neuroscience at Duke University, was the catalyst for that change. He tells the story in the interview below, and it’s one of the things that makes science an interesting and unusual field to operate in. Dr. Hare says he’s changed as a scientist because of dogs — he studies human evolution, and in order to better understand what it means to be human he says you need to understand what it is to be not human. Studying how dogs got to be dogs, how they think and make choices, what changed to get them where they are as a successful species, took his findings beyond where they would be had he only studied primates. Dog cognition, or intelligence, is often thought of as something you have either more or less of — we even think that way of ourselves. It’s not true. Dogs have learning styles, competencies, much like us. The Dognition program helps you better understand your dog’s learning strengths, making training according to your dog’s cognitive profile a more positive experience for you and your dog. Dr. Brian Hare is associate professor of Cognitive Neuroscience at Duke University. 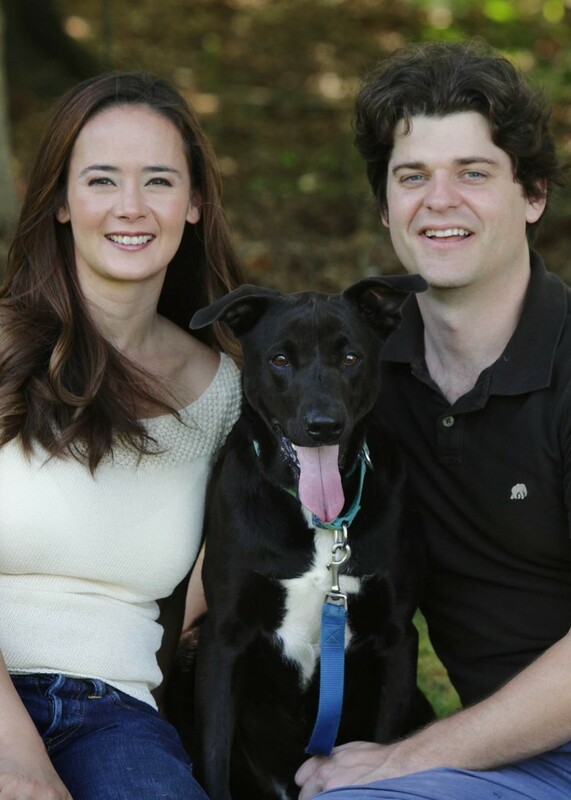 He is the founder of Dognition and the author of the New York Times Bestseller The Genius of Dogs. What got you interested in and how did you prepare for studying dogs’ minds? Was there a mentor or friend who introduced you to what was available and where to find it, or did this topic find you? I was a 19 year old undergraduate at Emory University and I was working with an amazing Psychology Professor Mike Tomasello. Mike was one of the first to realize that human infants develop powerful social skills as early as nine months. This is when infants begin to understand what adults are trying to communicate when they point. Infants also begin pointing out things to other people. Whether an infant watches you point to a bird or the infant points to their favorite toy, they are beginning to build core communication skills. By paying attention to the reactions and gestures of other people, as well as to what other people are paying attention to, infants are beginning to read other people’s intentions. Mike knew that our closest living relatives, the great apes, could not use human gestures, so he thought that perhaps this ability was unique to humans. But like many dog owners, I’d spent countless hours playing fetch with my childhood dog, Oreo. If he lost a ball, I’d help him find it by pointing in the right direction. When Mike told me that a chimpanzee couldn’t follow a human point to find food, I blurted out ‘my dog can do that!’ and it all began from there. 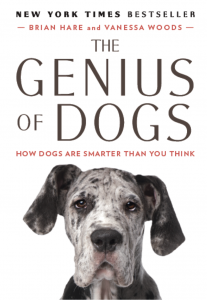 Genius of Dogs, authored by you and your wife, science journalist Vanessa Woods, is a review of the published literature on dog cognition that gives the reader a basis for understanding 15 years of what is known so far in this field. What new discoveries might readers make in how dogs see the world? I think the biggest surprise is that there are no such things as ‘smart’ dogs and ‘dumb’ dogs. There’s still this throwback to a linear version of intelligence, as though intelligence is a cup of coffee that is more or less full. Different dogs are good at different things. The pug drooling on your shoe may not look like the brightest bulb in the box, but she comes from a long line of successful dogs and is a member of the most successful mammal species on the planet besides us. Did any of the findings here surprise you and if so, how? One of the biggest surprises for me was the ability of dogs to read human social cues. We take it for granted that dogs can effortlessly use our point to find a hidden toy or morsel of food, but this ability is unique in the animal kingdom. No other species can read our communicative gestures as well as dogs can. It allows them to be incredible social partners with us, whether it’s hunting, or agility, or just navigating every day life. Their ability to interpret our gestures also helps them solves problems they can’t solve on their own. 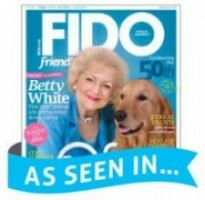 Dognition.com is a membership site where some of what we find in the book can be applied in an up close and personal look at our own dogs using science-based cognitive games at home. 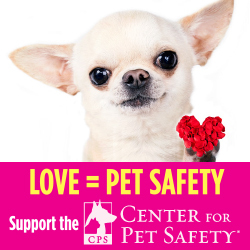 In what ways does this program help dogs and their people? Dognition is about helping people find the genius in their dog. Different dogs use different strategies to solve problems. Does your dog rely on you to solve problems, or are they more independent? Do they pay attention to where you are looking before they decide to sneak food off the coffee table, or are they just straight up the king of the household and don’t feel the need for any sneakiness – if they see something they want, they just take it? Dognition is all about playing fun games that will give you a window into your dog’s mind, that will in turn enrich the relationship you have with your dog. On top of that, the data that you enter will contribute to a huge citizen science project that will help us help all dogs, from shelter dogs, to service dogs. It’s an incredibly exciting project and I can’t wait to see what we find out! I know there have been recent calls for participants in cognitive research studies. Is there a link you can offer to those interested in participating with their dogs in current open or future studies? Sure! Anyone can become a citizen scientist by visiting www.dognition.com/BRIGHTMIND to play Dognition games for free. You are currently hosting DogSmarts a new Podcast series. How does it feel to be on the other side of the microphone? What can listeners expect? It was so fun for me to be the one asking the questions! Everyone I interview is the top person in their field – they also happen to be my friends, so we had a lot of fun making the podcast. These people are also the people responsible for most of the dog research coming out these days, so it’s a chance for listeners to hear these people talk about what inspired them and what they have learned. The sponsors of your show are Purina Pro Plan Bright Mind dog food. How did this partnership develop? Dognition and Purina Pro Plan BRIGHT MIND are both about helping your dog reach their full potential. 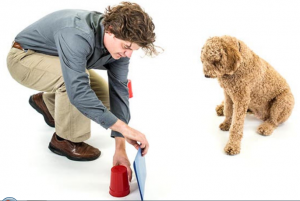 Dognition is all about giving dog owners cognitive games to play to exercise their minds and discover their unique cognitive style. BRIGHT MIND is a food full of nutrients that improve cognitive health. We recognized that we were both trying to achieve the same thing in different ways – so it seemed a natural and perfect partnership. What role does food and its quality play in the care of feeding of a dog’s mind? Dogs have incredible cognitive abilities and that’s why it’s so important to nurture your dog’s mind to preserve the things we love the most about them. I feed my own dog Tassie BRIGHT MIND, which has helped bring back some of his bonding behaviors (nuzzling / hugging) that he had stopped demonstrating in his senior years. This was especially important to me since his Dognition profile showed me how remarkable his empathy levels were compared to other dogs when he was younger. In closing, what key thoughts or principles should we keep in mind as we go through life working to better communicate with and understand our dogs? Dogs have amazing cognitive abilities. We need to take care of their minds as well as their bodies. They are our best friends, after all! 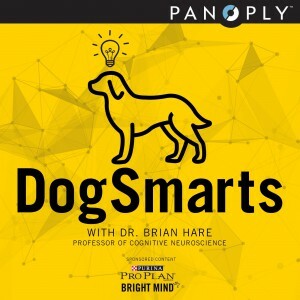 Check out DogSmarts here on itunes. Podcasts are short presenting interesting findings and introducing you to other experts working in the subject field. For example, there’s a discussion on memory and Dr. Hare is joined by Dr. Josep Call, Professor in the Evolutionary Origins of Mind at the University of Saint Andrews, and Dr. Adam Miklosi, Head of the Department of Ethology at Eötvös University in Budapest, Hungary, to explore verbal and non-verbal communication between humans and dogs. If you’ve joined Dognition, I’d be interested to hear about your experience if you care to share! Take a look at Terry Kaye's book Dog Only Knows, not as serious but just as meaningful She basically translates for her dog and you being to realize how truly amazing they are and how intuitive they are. It's just like learning a foreign language, just learn to speak dog. SUCH a great interview! I read his book and was inspired to learn more. I actually just completed the free course he's offering through Coursera and ended up with a notebook full of valuable notes. I plan to work through Dognition with Cooper before the summer's over. I just love Dr. Hare's approach. Thank you so much for sharing this awesome interview! This is fascinating! Thank you for sharing. I will definitely read more about the subject and see where Henry ranks in the testing. I know you'll have a great time with these games, and so will Henry =) Thanks for stopping by! I met Dr Hare and Dexter went through Dognition testing with fun and fab results. I loved learning more here and now I want a copy of this book! How cool and Dex must have had a blast with those tests! Great to have a book like this -- to be able to catch up on 15 years of research in one book is quite a feat =) Thanks for stopping by! Fantastic post. So interesting! Will have to get the book! Also shared on Pinterest on my "Bark About" board! Great post! I need to get the book! So fascinating. We saw some of the research when we were making our documentary about the changing roles and talents of dogs and the bond dogs have with humans. I'll have to read the book and do the games with Kilo the Pug. I really loved this post! I'm a professional dog trainer, and so much of what Dr.Hare said really resonates with me! I love to watch dogs learn!! My favorite training methods allow the dog to problem solve and figure out the specific behavior I'm looking for them to produce. Too few owners exercise their dogs' minds, and dogs LOVE to think and problem solve and learn!! Great interview, thank you! I love learning things like this about our four-legged friends, dogs or cats! I can definitely see the gears turning when my dog is trying to figure something out. I wish he could speak so I could learn even more from him! This was a fascinating interview, thanks! I'm going to check out Dognition & Dogsmarts, they sound like great resources. I feed Phoebe, my senior dog, BrightMind, she loves it! @CathyArmato Glad you enjoyed it, Cathy! It's so much fun learning all this new information we now have about our dogs =) Thanks for dropping by. I haven't used their paid services, but I have done plenty of the games at home and they're really fun. I saw the special he did on Animal Planet that gave detailed explanations on what your dog results mean, and I especially liked that none of them are considered "bad," they just point out differences in their personalities & learning styles. @Jen Jelly It's great that there are free games for people and dogs to experience so you know a little about what to expect from the paid program ;) Yes, there are no dumb dogs! @thedailypip Me too!! I also really appreciate the different gateways to learning he provides for people with different learning styles (hahaha): the book for those who like to get a grasp of the field before going further, dognition for those who want to jump right in =) Thanks for stopping by. Interesting interview. I'll have to read his book. I guess dogs have seven (or more) types of intelligence too! This is very interesting. It's like I used to say about my students - everyone has special potential and gifts. Okay, no more saying border collies and standard poodles are the smartest out there! EVERYONE has potential! Great post and I so agree, I do believe my dogs are very smart animals just from watching them and living with them. @Ruth Epstein It is a joy watching them function according to their world view and interact, isn't it? I see my almost 17 year old Shih Tzu and the foster 3.5 year old German Shepherd commune silently and I often wish I could hear the exchange =) The GSD is rambunctious, naturally happy, and she reigns herself in around Tashi because she knows he's fragile with little sight or hearing left -- and she reads me well! Thanks for the visit! This is incredible research: I'm looking into the free dognition games right now I can play with our older dog, Bruiser, as I think he'd benefit. Thank you for sharing this. I think the pointing example is really powerful and have read other studies about what dogs can do that chimpanzees cannot... Thanks for posting this interview. This is a very interesting interview. Although my dogs aren't well trained (my fault) they are definitely smart. Each has a unique way of solving problems. They are such interesting company. This is very interesting and I'll likely read the book. I like the title ... but the subtitle? How do they know how smart I think dogs are? ;) Ok, maybe there aren't 'dumb' dogs, but I am convinced my dog is smarter than average. Or maybe he's just smarter than me... sad, but maybe..
@dogtrotting Ha! I have noticed that dogs sometimes outsmart me with an endrun move, like the time Tashi thought he won the lottery...the toaster went wild and popped a slice of toast onto the floor. He was a youngster then -- he grabbed the toast and ran around the kitchen island. He knew I couldn't catch him -- maybe it was the grip on the toast, but I'd swear he was grinning from ear-to-ear! As Dr. Hare said, so many different intelligences there aren't even names for yet =) Thanks for chiming in! I agree that dogs can and do read our signals and cues. Interesting, but I guess not surprising, that different dogs use different strategies to solve problems. @EdiethePug I know! Sometimes research seems to be based on "duh" moments, LOL, as Dr Hare pointed out. We take what we know for granted, as if everyone else knows it too. It's fascinating to see more on how dogs think and it should translate to dogs being given more opportunities to lead their best lives. Dogs truly are remarkable in their ability to learn and socialize. I am about to start training my dog for BlogPaws and so that he is better in general socially. How interesting to learn that dogs have learning styles, as a homeschooler who has to tailor teaching styles to different children, it makes total sense! @WaterRollsUphil He'll be a happier dog for it and you'll be delighted I'm sure to gain a better understanding of how your dog sees the world -- and other dogs =) Thanks for stopping by!